Welcome! My name is Michelle, and I am a Marriage and Family Therapist licensed in California with about 5-6 years of experience working as a psychotherapist. My background entails working with clients with range of concerns, including depression, anxiety, relationship issues, and trauma. 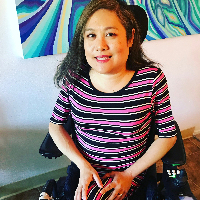 In addition, I have a particular passion for working with people of color, immigrants, and those with physical disabilities or chronic illness. My educational experience includes a BA in Psychology from UC Berkeley, and a MA in Counseling Psychology & Holistic Studies from JFK University. I have a very warm and interactive counseling style, and strongly believe in treating people with respect, sensitivity, and compassion. These qualities essentially allow clients to feel supported and heard as they work with me. Furthermore, my role as a therapist is to create a safe space and to guide my clients to tell their stories and discover their unique strengths. I do this by utilizing a combination of therapeutic approaches in my practice, including narrative, humanistic, and process therapies. Because of my extensive experience in working with clients who are part of marginalized groups, I also integrate aspects of liberation-based, affirmative therapies. I look forward to hearing from you and getting the opportunity to learn more about you as we work together. Thank you for taking the time to read a little about me. I love her- she is very upbeat, happy, and makes me feel very comfortable. Talking to her all around is wonderful. Would you like to write a review for Michelle Favis? We'd appreciate if you can spend a couple of minutes to write a short review for Michelle Favis (LMFT). This review would be shared with Michelle Favis. It may also be posted in our website or in Michelle Favis's profile but it would be anonymous and your identity would be kept completely confidential.